Jay Underwood, Renee Faia, Christian Leffler, Jim Pirri. Directed by David Burton Morris. ‘And the Beat Goes On’ is the title of one of Sonny and Cher’s most famous songs and recurs during this film as does ‘You’ve Got Me, Babe’. The film is an attempt to honour the memory of Sonny Bono and the screenplay is based on his autobiography, his widow, Mary Bono, who appears at the end of the film encouraging him, being executive producer. Sonny Bono finished his career as mayor of Palm Springs and was then elected to the House of Representatives and died in office, being killed in a skiing accident. The film has a voice-over by Sonny Bono, looking at his life, his ambitions to be a songwriter, to be involved in the record industry, his meeting with Cher, falling in love with her, promoting her, working with her, his betrayal of her, her feeling that she was in servitude to him and their break. The film opens with a scene on the David Letterman Show and finishes with the two getting together and singing ‘You’ve Got Me, Babe’. There are final photos of Bono and a voice-over from Cher’s eulogy at his funeral. Jay Underwood, who appeared as a child star in such films as The Boy Who Could Fly, gives a naively bemused performance as Sonny Bono. However, Renee Faia gives a very fine impersonation of what Cher might have been like at that age, from fifteen to almost thirty. She also does a good impersonation of the older Cher. The soundtrack uses the voices of the two stars for their songs and they are mimed well. Other characters appear including Phil Spector, Little Richard and David Geffen. It is interesting, always in view of the later lives and careers, to speculate about what might these characters were like when they were young. This film gives the opportunity to look at a showbiz story starting in the somewhat naïve early 1960s, getting caught up in the music scene of that time, falling out of favour, becoming trendy, moving to movies as well as television – with the personal cost to personal lives. 1.An entertaining film? Audience response to Sonny and to Cher? To each of them individually? A more Reader’s Digest presentation of their lives and careers? Getting to grips with their personalities, their talent, their crises? 2.The re-creation of the 1960s and 1970s, California, Los Angeles? The world of Sonny Bono – delivering meat, the record companies? The transition to the music industry? The world of Las Vegas, concerts and tours, television, moviemaking, the world of Sonny and Cher? 3.The music, the title song, ‘You’ve Got Me, Babe’, the other songs? The performance by each of them? Their working together for many years? The repartee, Cher and her disdain, Sonny as the victim? The miming to the actual voices? The staging of the songs? 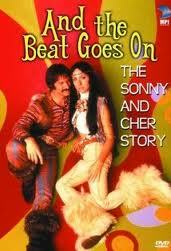 4.The voice-over, Sonny Bono’s comment on his life, on himself, on Cher? The touches of bitterness, his non-comprehension of the break-up? The reunion on the Letterman show? Cher speaking his eulogy at his funeral? The benign approach of Bono’s widow, Mary? 5.Sonny Bono, young, delivering the meat, trying to write the songs, his friendship with Buddy, Buddy’s comments about his over-eagerness? The opportunities to record, the executives? His going to Phil Specter, becoming his representative? The encounter with the girls, with Cher, his infatuation with her, her moving in, listening to her sing, wanting to promote her? His subsequent career, managing Cher, the tours, the contracts? Making the film – and his betrayal of Cher and her reaction? The film and its failure, no distribution? His moving into television? Cher wanting to break with him, his not understanding this? Offering Buddy the job of manager, their friendship? 6.Cher, the impersonation, young, the clashes with her mother? Her name, ambitions? Singing at home, nervousness for the recording, Sonny encouraging her? In the nightclubs, the repartee? Developing her persona on-stage? Costumes, hair? The success of their careers? Her wanting to break up, the man in the hotel suite, her trying to communicate the message? The break-up? The later reunion? 7.The world of music, Buddy, technician, support, manager? Phil Specter and his eye for talent? The scene with Little Richard and his eccentricity? The world of agents, deals, recording deals? David Geffen and his influence? 8.The background characters, Cher and her clash with her mother and her disdain for Sonny? Their friends? The studios? 9.A glimpse into a past world, the comparisons with other celebrities in the music industry.